From sports clubs to back gardens, play areas to stable yards – nowadays artificial surfaces can provide a safe, consistent alternative to traditional turf, paving, earth or tarmacadam. With a host of solutions to almost every surfacing problem, landscape designers, schools and sports clubs alike can be spoilt for choice when it comes to selecting the best artificial surface to suit their needs. This is perhaps one of the most diverse areas when it comes to the development of artificial surface types – due not only to the huge diversity of sports and their different surfacing requirements but also from massive investment into sports surface research. 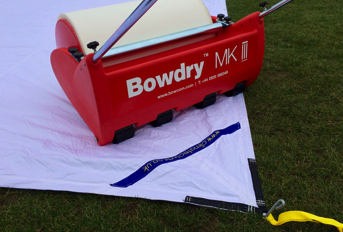 Where once natural turf would have been the most common surface for winter sport pitches, nowadays there are a range of alternatives from astroturf to sand and water-filled surfaces through to 3G – all of which have their own unique attributes and are variously suited to football, rugby or hockey. Cricket, meanwhile, presents its own unique challenge due to the very specific attributes of the ‘ideal’ cricket pitch. 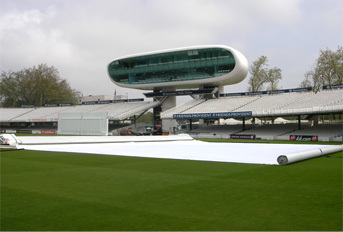 The ECB has invested huge amounts of time and capital to set specific criteria in terms of the performance of non-turf cricket surfaces for practice and match play. 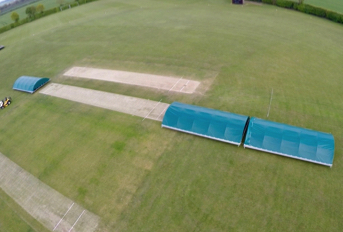 This is an area is which total-play specialises and has developed no less than three ECB approved artificial cricket pitch systems. In tennis courts, concrete or tarmacadam were once the only alternative to the traditional clay and grass courts. Nowadays, however artificial grass and turf systems have been designed that mimic the performance of clay or grass courts at their peak. Even the equestrian world now benefits from artificial surface advancements – sand and woodchip in arenas and on gallops is now commonly replaced by a host of options; including cushioned rubber, silica sand, carpet fibres and many more. Meanwhile, stable yards can be covered with liquid rubber flooring to help avoid damage to expensive animals. The suburban dream of a beautifully green lawn with perfectly mown stripes is now within everyone’s reach– whether your lawns are sweeping or merely a few metres square. No longer hard or ‘plastic’ in feel, today’s artificial turf is available in a huge range of styles, colours and materials and at a variety of budgets too. From products that look passable as natural grass from a distance to those that look and feel virtually indistinguishable from the real thing, less-than-keen gardeners or those without the time to do their garden justice can enjoy the ‘perfect lawn’ look with virtually no maintenance. Another area that artificial surfaces have had a huge impact is in children’s play areas. From toddlers’ play areas through to teens’ skate parks and in school playgrounds across the country, wood chip, rubber shred and tarmac is being replaced by impact-absorbing rubberised surfaces that are not only durable and low maintenance, but that can significantly lower the risk of serious injury in the event of an accident. 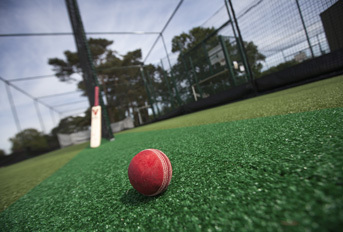 Of all these areas, total-play Ltd specialises in the design and installation of artificial sports surfaces – especially cricket. 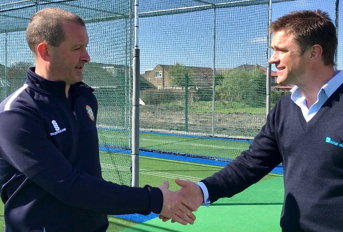 Its three ECB approved artificial cricket pitch system designs offer unrivalled choice for clubs and schools looking for install a high performance non-turf area for match play or practice. 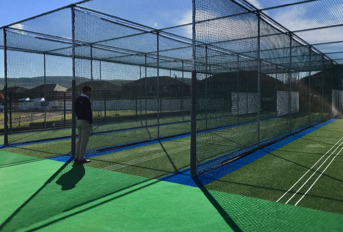 Increasingly popular is total-play’s cricket based MUGA; where the addition of retractable cricket netting sees practice systems quickly transformed into Mixed Use Games Areas suitable for general play and sport practice. Total-play also designs and installs state-of-the-art artificial surfaces for athletics, track and field disciplines. Whatever the artificial surface a client is looking to install, total-play can assist from start to finish; advising on the best solution to fit the site’s geology, designing the right system; undertaking all groundworks with its in-house team using the company’s own extensive range of laser guided equipment; installing the new artificial surface along with elements such as drainage, fencing and goalmouths and finishing off any landscaping on completion.